The inspector general at the Department of Homeland Security is investigating whether Long improperly used agency vehicles to commute from Washington to North Carolina, where his family resides, according to a report by Politico. Politico said Long began using a staff driver for those journeys when his term began previous year, and that aides also traveled with him at taxpayer expense. "If we made mistakes with the way a program was run, then we'll work with OIG to get this corrected". The news of an DHS IG investigation into Long comes as the country prepares for Hurricane Florence, a Category 2 hurricane that's expected to hit the Carolina coasts hard. "Doing something unethical is not part of my DNA and it's not part of my track record in my whole entire career". 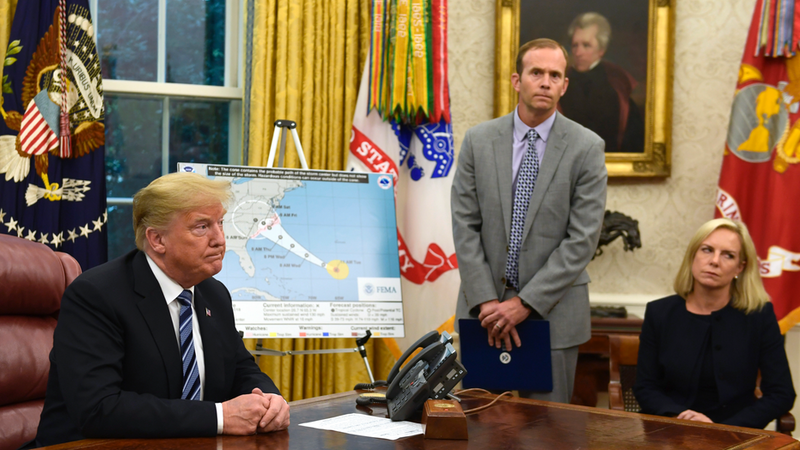 Long, who took over a year ago shortly before Hurricane Harvey struck, said he didn't want the investigation to detract from preparations for a major storm was heading for the U.S. Citing a source familiar with the matter, the newspaper reported that senior White House officials discussed replacing Long in the past several days, but chief of staff John Kelly ultimately chose to leave Long in his role until the internal watchdog's final report was completed. In a statement, a spokeswoman referred questions to the inspector general's office and said that Long and the agency's workforce "are focused on preparing for, responding to, and recovering from Hurricane Florence and other active tropical systems". FEMA's James Joseph said even with all of its assets, there are limits to what it can do. Long said the inspector general was looking into vehicle usage, but he didn't confirm that the review concerned his use of an official vehicle. She called Long "an experienced and respected emergency manager". Long is the latest Trump appointee to face scrutiny over his use of government resources.